Programs are organized in collaboration with colleges and universities, Greek Government ministries and agencies, and with agencies and institutions of the European Union. Special study and travel courses are offered in cooperation with institutions of higher learning wishing to establish a Study Abroad Program in Greece. 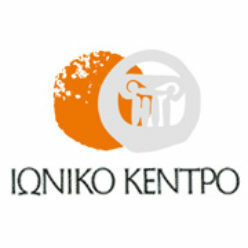 The Ionic Centre undertakes the design, organization and supervision of such special study and travel courses in Greece. Courses may be taught by Ionic Center faculty and/or by faculty of the cooperating institutions. Organization may include accommodation and meals, transportation and excursions, access to libraries and visits to sites of archeological interest and museums. Academic credit for work in the program can be given by the student’s institution or be extended by special agreement by The Ionic Centre. The Ionic Centre has participated in a number of European Union educational programs, such as Med-Campus. The Ionic Centre has organized a variety of educational programs for the Greek Ministries of Education and Culture. The Ionic Centre has organized in the past for the Ministries of Education and Culture of Greece, and in particular, for the General Secretariat for Greeks Abroad a variety of travel-study programs focusing on the Greek language and culture.